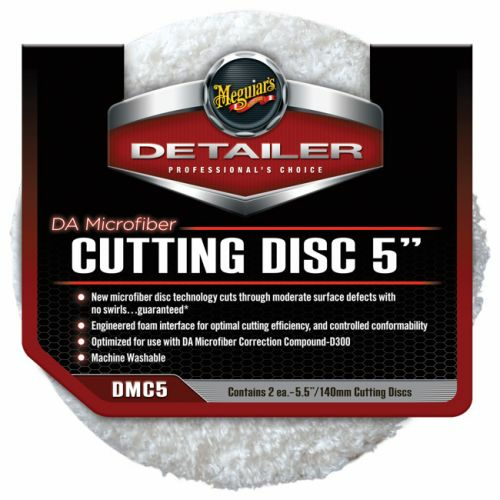 Meguiar's DA 5" Microfiber Cutting Pad Discs are made of an engineered foam interface with advanced technology microfiber for efficiently cutting through mild to moderate defects such as isolated scratches, swirl marks, water etching and oxidation. 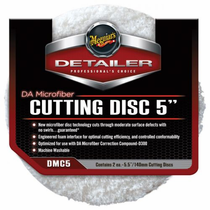 The Meguiar's DA 5" Microfiber Cutting Pads design contours over curves as well as flat surfaces offering more control. For optimum results use with Meguiar's DA Microfiber Correction Compound for a high gloss shine and Meguiar�s �No Swirl Guarantee�. 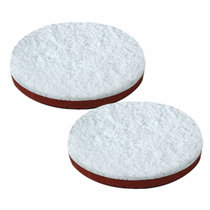 During Use: Clean Meguiar's DA 5" Microfiber Cutting Pads frequently during use with a nylon bristle pad cleaning brush. After Use: After use or when dirty machine wash using a mild detergent and DO NOT use fabric softeners. Tumble dry on low or no heat without the use of dryer sheets. 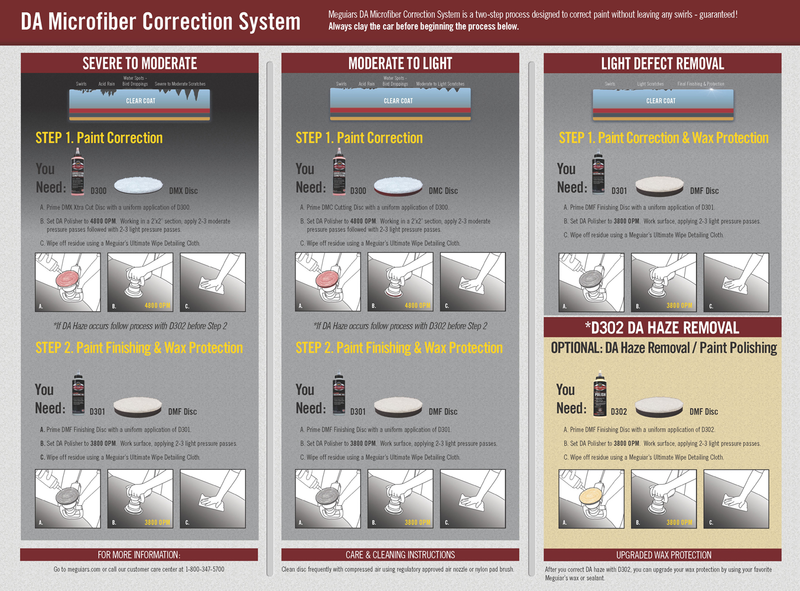 To prevent contamination store in resealable plastic bag or container.